When you’re feeling challenged in life, it’s good to talk to someone to get support and advice but keep your wits about you. While Proverbs asserts there is wisdom and success the counsel of many it’s important to know the difference between support and advice. It’s not good for you, or anyone, to keep your thoughts and emotions bottled up inside where emotional wounds can fester, get infected and spread their destructive poison. 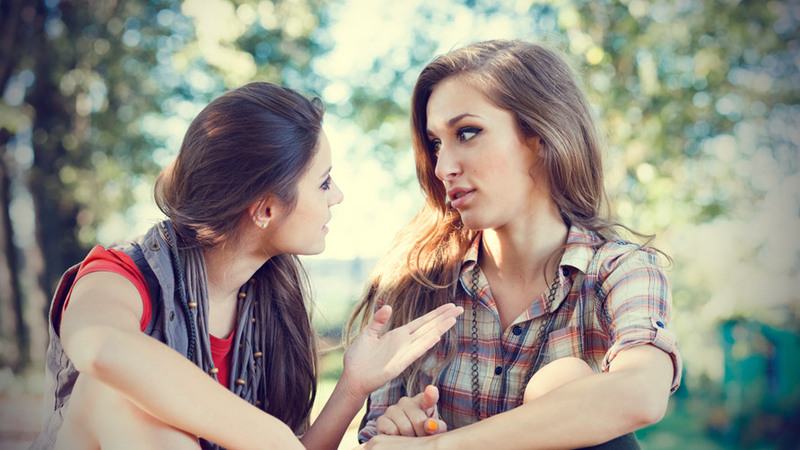 When you’re talking to friends, especially those who are good at being supportive and/or empathetic, you might mistake the good support of a friend for advice. Try to remember there may be a dramatic difference between support and advice. Support validates your feelings, friends who empathize with you understand and can even feel your feelings about the subject at hand. They support how you feel and agree with your point of view. If this is confused as advice, it can cement your position. This can lock you into a single perspective on a particular issue, and while you may feel better in the interim, this is probably not serving your highest and best. The caveat regarding confusing support with advice is an important distinction because doing so can lead to dire results and is often the basis of enabling someone instead of healthfully or positively advising someone you care about. Advice is best when the advisor challenges your point of view or position, encouraging you to take a look at your situation from different perspectives. Instead of blanketly agreeing with your, feeling sorry for you, making fun of your situation, or devaluing the other participants, situations, or circumstances, they challenge you. Good advice comes from those who ask you to consider what it might like to be the other players in your situation or circumstance? Or how might you have done it better? Most of the time, when you’re feeling upset, all you need to do is to talk to someone, in an effort to get it off your chest, blow off steam, or let out some frustration. A good friend can help you to laugh at or find humor in even the most tragic circumstances. You’re not looking for advice. In fact, if all you’re doing is to look for someone to listen to you, attempt to understand, or support you, and if they hit you with a barrage of advice, this can be offensive. It may be abrasive, may even feel like an assault, feeling as though someone is trying to tell you what to do, or control you, when they give advice, when all you were looking for was someone to talk to. Someone who could listen to what you have to say without judgment or advice. Keep this in mind when someone wants to talk to you. Unless they specifically ask you for advice, they might just be coming for you to talk. And in these moments, the best thing you can do is to actively listen to what he or she is saying, to be supportive, and attempt to understand or feel what it might be walking in his or her shoes. This is especially hard for me. Since most of the time, when people come to me, they are seeking advice, I just assume that’s why people talk to me, so I start to advise, even when I was never asked for advice. This presumptive position is erroneous on my part, and I need to work on trying to understand and know the difference between establishing if someone wants advice or just wants to talk it out. Especially when someone is in crisis, its best to start with active listening and supporting only offering five words of your own, then following up later with more objective approaches. The basic rule of thumb is, if someone is just sharing their story or feelings with you, and they have not asked for your advice, they just want someone to listen and be supportive. It seems like an over-simplification, but it’s true. And it might be harder than it sounds. Especially if a friend is sharing a story which makes you feel sorry for, upset, or you are empathetically feeling your friend’s feelings and you want to help. You want to offer advice in an effort to alleviate your friend’s pain or angst. Resist doing so if they have not asked you for your help. Your help is best offered in the form of listening and supporting, not trying to advise. When you are ready to seek advice, it’s good to collect input and data from a variety of sources representing different ideas and perspectives before deciding on a course of action, this is where there is wisdom and success for those who consult with a multitude of advisors. No one can tell you what to do, all they can do is to share their ideas or feelings based on their experience(s) from their own perspective. Seeing any challenge or situations from many vantage points is beneficial for you, and there is indeed wisdom in doing so.